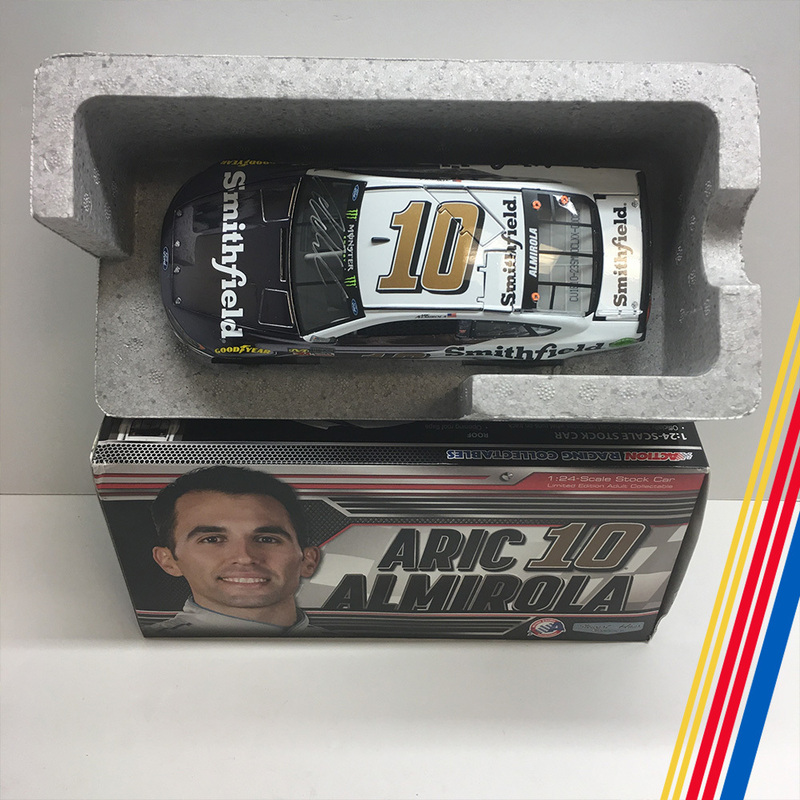 Home / Diecasts / NASCAR's Aric Almirola autographed Smithfield diecast! 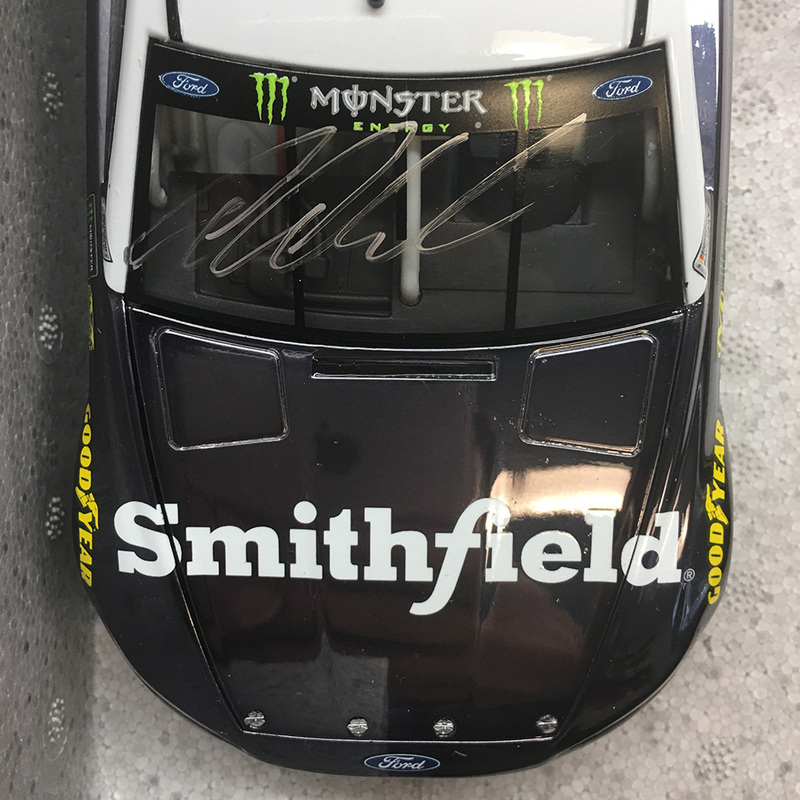 NASCAR's Aric Almirola autographed Smithfield diecast! Bid on this Action Racing Collectables Stewart Haas Racing 2018 Ford Fusion #10 Smithfield 1:24 scale stock car diecast replica (1/72) AUTOGRAPHED by Monster Energy NASCAR Cup Series driver Aric Almirola! Item in original packaging. Autographed items include a certificate of authenticity!